A trip down to Newquay and the Cornish Coast means so many different things to so many different people. There's the surfing, the beaches and for us the allure really comes with the food and drink. 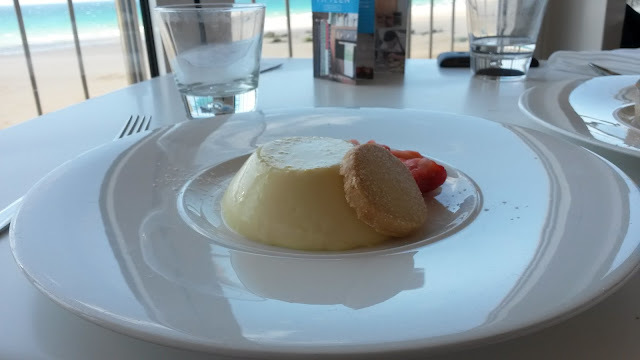 The coastline plays host to some superb restaurants and our trip allowed us some time to sample some of the delights on offer. 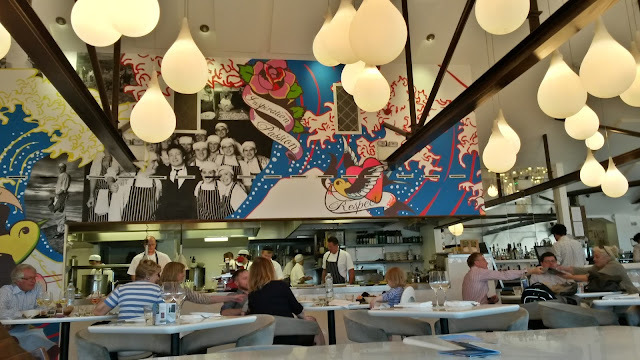 Wednesday 8th June saw us have lunch at Jamie Oliver's Fifteen Cornwall restaurant that looks over the beach at Watergate Bay a few miles north of Newquay. For a reasonable £32 we chose from the 3 course lunch menu which was limited to 2-3 choices per course however took a lot of the guesswork out for us over what to have and if you consider we could have starter, main and a dessert for around £20 at most standard pubs and restaurants at home the extra £12 doesn't seem significant for a specialist restaurant. 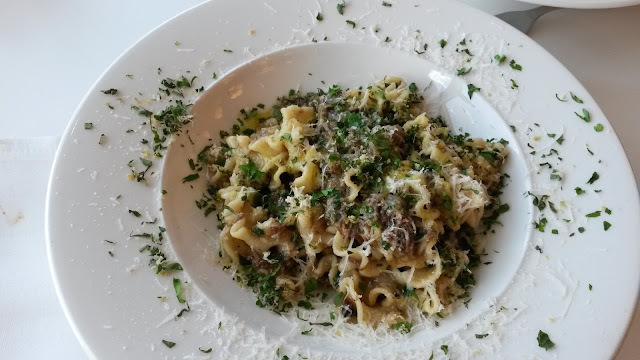 Fifteen Cornwall is primarily an Italian restaurant so expect exquisite pasta dishes and Mediterranean flavours alongside fine local produce. 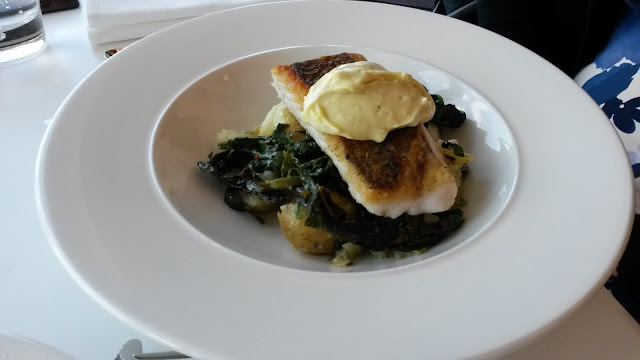 For our mains we opted for crusted hake, served with crushed potatoes, greens and garlic mayonnaise (Alioli) and an intriguing sounding pasta dish which featured overnight cured beef. Both dishes were very well cooked. 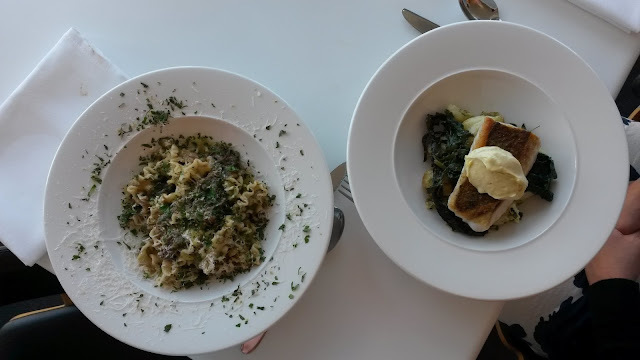 The pasta was perfect and the piece of hake beautiful. 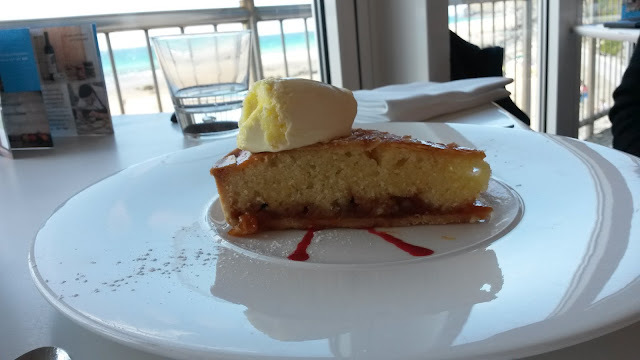 Our desserts were a lemon panna cotta, as well as an almond and apricot tart with clotted cream. Both were absolutely delicious and well worth sampling. 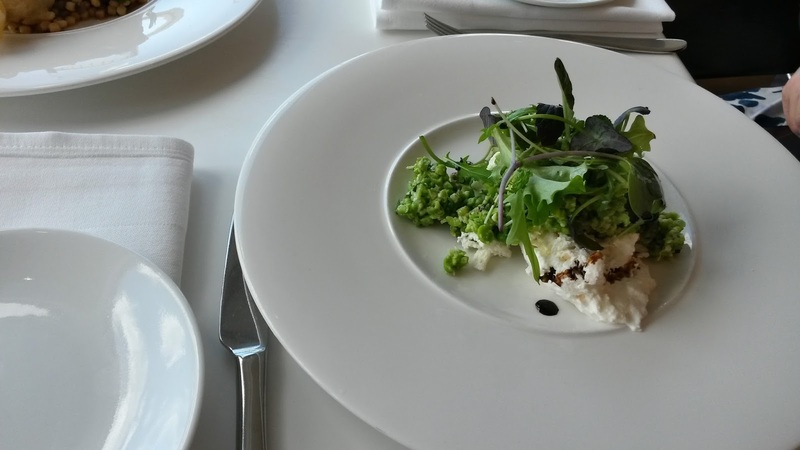 We loved Fifteen Cornwall. Great atmosphere, lovely food at a relatively reasonable price. 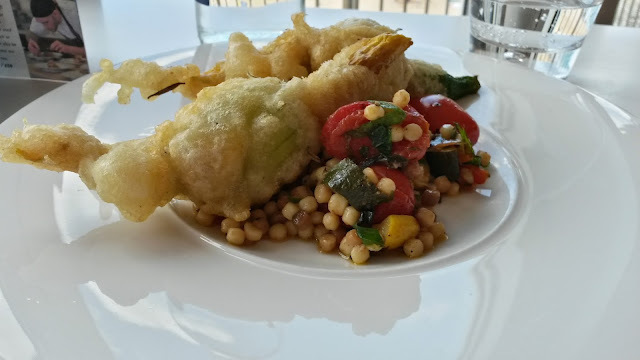 We'd hoped to experience at least one restaurant on our trip which was put together on a budget, we'd hoped to visit Rick Stein's seafood restaurant in Padstow but the prices there for the mains were the equivalent to what we paid for lunch. We would certainly go back. Fifteen offers relaxed dining with beautiful vies, great food and very attentive staff from our experience. It's a short drive from Newquay as well and it feels like a different world.